In Dow Jones news today, the Dow Jones fell more than 60 points as crude oil prices dipped to $43 per barrel. A special election in Georgia could signal a monumental shift in Washington, just as Republicans prepare to tackle the Trump tax agenda. The race for Georgia's Sixth Congressional District pits Republican Karen Handel against Democrat Jon Ossoff. The seat was vacated after Tom Price accepted the job of Health and Human Services secretary. Although the race is taking place in a sleepy district in Georgia, Democrats have positioned the race as a referendum on Trump's policies. More than $50 million has been spent in the district. In fact, there has been so much advertising that local television stations have added additional news programs just to ensure the running of the political ads. Speaking of President Trump, the administration isn't going to like news coming out of Ford Motor Co. (NYSE: F) this afternoon. The automotive giant announced plans to manufacture its Focus automobiles in China and import them into the United States. The news comes as the Trump administration moves to reform the corporate tax code and possibly implement a border tax on companies that import products from manufacturing bases overseas. 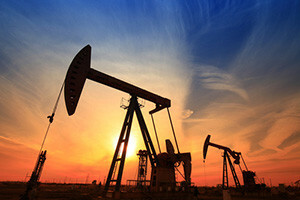 Crude oil prices fell as concerns about global oversupply continue to rattle investor confidence. An uptick in Libyan, Nigerian, and U.S. production has traders concerned that OPEC's deal through March 2018 may not be enough to stop excessive production and balance supply and demand. The WTI crude oil price today fell 2.1%. Brent crude dipped 2%. Shares of Boeing Co. (NYSE: BA) ticked higher again Tuesday on news that the airline manufacturer received a large order from United Continental Holdings Inc. (NYSE: UAL) at the Paris Air Show. Boeing responded by hiking its 20-year forecast for plane deliveries by 5%. Finally, investors are keeping a close eye on Bitcoin, which saw its price hit over $2,700 on the day. The uptick comes after the price fell more than 14% in a week thanks to increased volatility around the globe. Here's more on what to expect out of the Bitcoin price in the future. It was a tough day for shareholders of Chipotle Mexican Grill Inc. (NYSE: CMG). The CMG stock price dropped more than 6% after the company told investors that its second-quarter operating costs are likely to come in higher than initial estimates. Shares of Snap Inc. (NYSE: SNAP), the parent of social media giant Snapchat, fell another 2.2% after one of its rivals made a huge announcement about user growth. Instagram, owned by Facebook Inc. (Nasdaq: FB), said today that it has reached 250 million daily active users (DAUs), a figure that crushes Snapchat's total of 166 million DAUs. In earnings news, shares of Lennar Corp. (NYSE: LEN) added more than 2% after the homebuilder topped Wall Street earnings expectations. The company reported earnings per share (EPS) of $0.91, while Wall Street expected $0.78. The company also reported a 12% increase in new home orders. The news sent shares of R. Horton Inc. (NYSE: DHI) and PulteGroup Inc. (NYSE: PHM) higher on the day. FedEx Corp. (NYSE: FDX) is in focus as the company prepares to report fourth-quarter results after the bell. Wall Street anticipates that the global shipping giant will report EPS of $3.89 on top of $15.56 billion in revenue. Markets are curious if the company will respond to the plan of rival United Parcel Service Inc. (NYSE: UPS) to increase prices for packages sent during the busy holiday season. After the bell, look for earnings reports from Adobe Systems Inc. (Nasdaq: ADBE), Red Hat (NYSE: RHT), La-Z-Boy Inc. (NYSE: LZB), and Korn Ferry International (NYSE: KFY).